Altitude : 1,500 metres (4,920 feet) above sea level. Yercuad a less crowded hill station as compared to the other major hill stations in the state of Tamil Nadu, is situated on the Shevaroy (Servarayan) hill ranges in Salem district at an altitude of 1,500 metres above sea level. 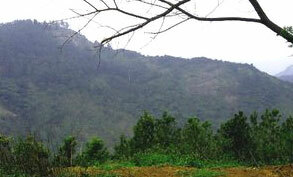 Yercaud is also called Shevaroy Hills, as it is situated in the Shevaroy hill ranges on the Eastern Ghats. The place with an area of 383q. kms. is popularly known as 'poor man's Ooty'- as it is comparatively less expensive yet as picturesque as the more popular hill station, Ooty. Literally the name Yercaud in Tamil means lake (Yeri) and forests (Kadu), and is said to be named after the lake amidst wooded trees in the centre of the town. Yercaud is famous for its schools such as Monfort School and its various monasteries and convents. 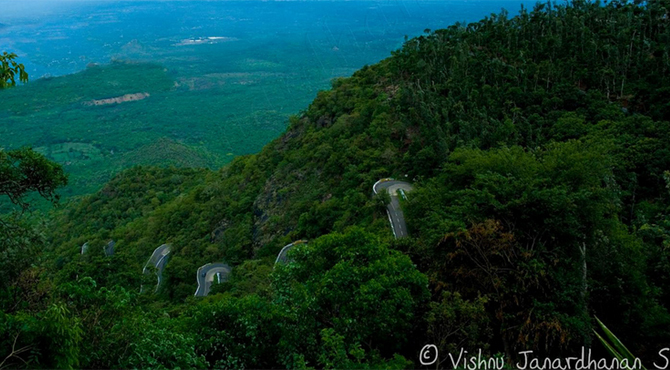 The road to Yercaud has nearly 20 hairpin bends that offer panoramic views of the hills and valleys. Orange Groves, and Coffee plantations which blossom in April are a few among the prime attractions. The hill station is a great place for trekking and has many vantage view points like Ladies Seat, Children's Seat, Arthur's seat and Pagoda Point which give beautiful views of the surrounding hills, villages and cities in the vicinity. The Botanical garden located 5km from Yercaud town run by the Botanical Survey Of India showcases thousands of species of plants. A national orchidarium, one of the only two national orchidariums run by BSI (The other one being in Shillong, Mekhalaya) and a green house is also found in this garden. Kurinji flower, which blooms once in twelve years and is very famous along the Western ghats of South India, is found here. The 20 year old national orchidarium has more than 100 species of orchids including rare varieties like the Vernonia shevaroyensis and lady's slipper orchid etc. There is also a pitcher plant that eats insects and a peculiar rock known as 'Bell Rock' which makes a bell sound when you hit it with a stone. The garden is closed on weekends. A delightful hill with magnificent views of the hills and the plains in between. On top of the hill there is a cave temple with a modern facade dedicated to the local deity Lord Shervarayan and his wife Goddess Kaveri. It is the highest point in Yeracaud, 5,326 ft above sea level.Thousands of tribals take part in the colourful annual festival in the month of May.